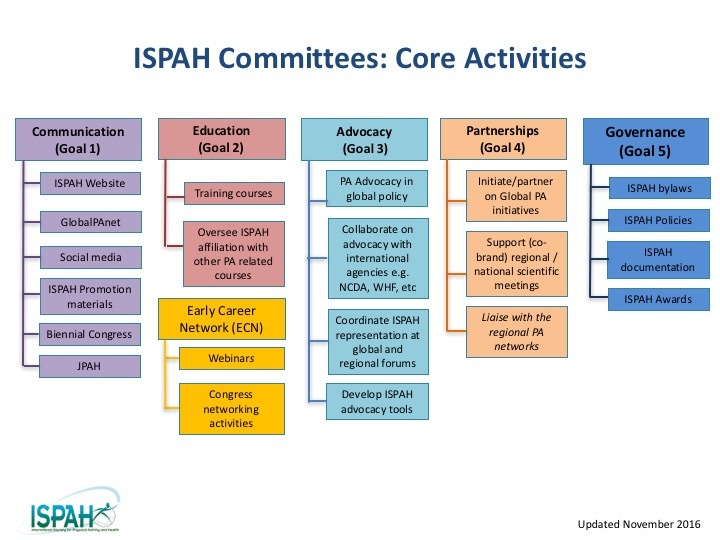 Committees have been formed to organise key development areas within ISPAH. The committees meet regularly throughout the year to anticipate and respond to needs from and for current and potential ISPAH members as well as the community in general. Committee members are from all continents and different languages in order to find and define tailored solutions. Below you will find the committees and their respective leaders. If you are a member of ISPAH and would like to get involved in the work of one of the Committees, please email the relevant committee lead.